Yesterday me and my boyfriend returned from Dublin, where we eneded our one week roadtrip. Because it’s all still fresh, I thought I could share the expenses with you, so you have an idea how much such roadtrip costs. Please note that I first write down the price we paid together and then calculate how much it was per person. We did a little under 1500 kilometres. Some of them planned, others not. No regrets for any of them. Sometimes we had beakfast free, but not always. Snacks and other meals include crackers, bread, sliced Ementaler cheese, cream cheese, salami, vegetables, yoghurts, cakes, chocolate bars, fruit, pastery. Alcohol includes beers and cider. We shopped at Aldi and Lidl. More could be saved if we ignored our sweet tooth. Instead we spend days stuffing our faces with carrot cake, lemon cake, berry pie and chocolate. We mostly slept in private rooms, but also stayed on dorm beds in hostels. 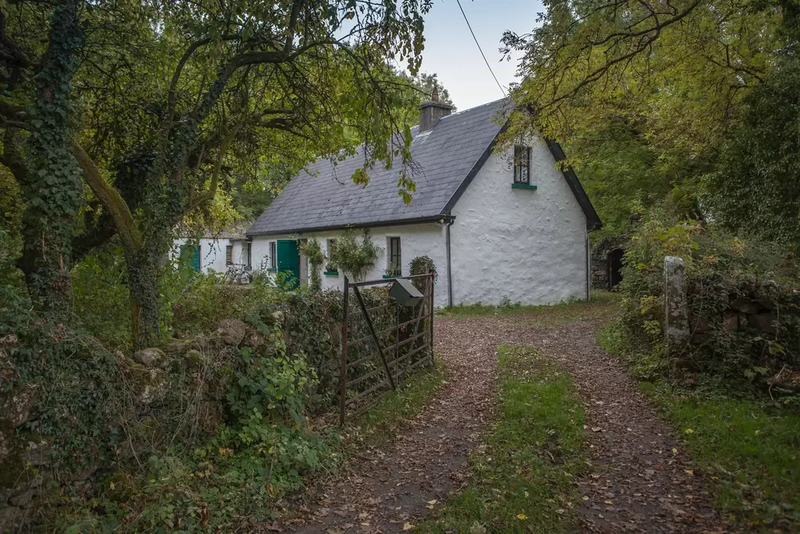 In Cashel and Galway, we used airbnb, which gave a possibility to spend one night with a very warm-welcoming family and three nights in an authentic Irish cottage. We could have saved more, if we only stayed in hostel dorms, however I am happy we didn’t. The most expensive night was in Killarney. 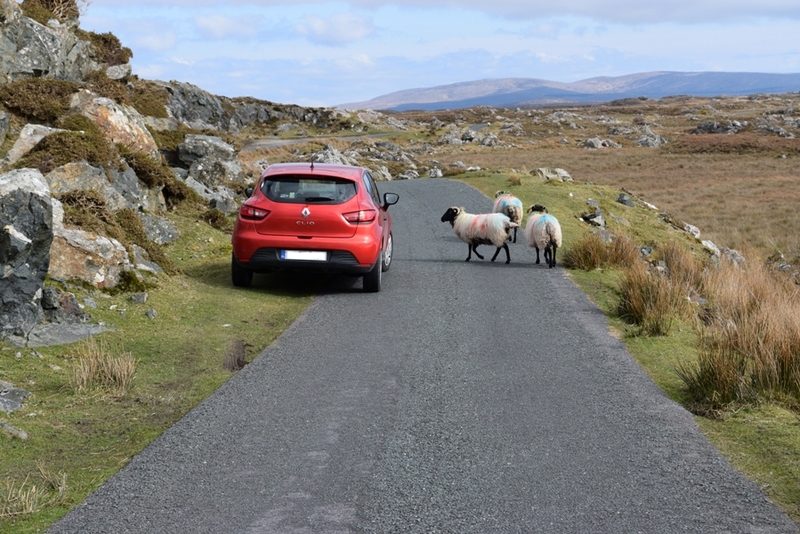 The location was ideal, just at the end of Ring of Kerry, bed was super comfortable and we had the biggest breakfast offered. Moreover, we could even order full Irish breakfast or pancakes with chocolate – for free, of course. We did not limit ourselves much. 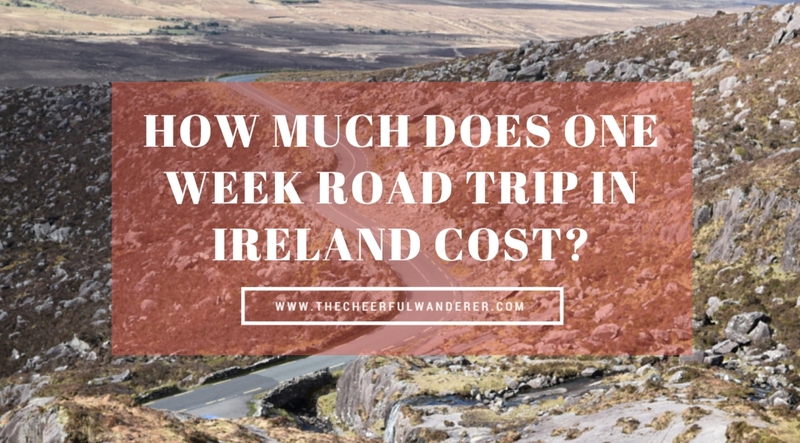 I couldn’t really say, we were on a budget this time, because we focused more on our goal – to experience Ireland as authetically as possible. We ate a lot and were trying new things. At evenings, we did our best to have something healthy, instead of eating another sandwich. Hi, I just wanted to ask you guys … Did you book all the accomodations before you went to the trip? We are planing the similar route in april or may this year 🙂 Thanks for your tips. Sorry for the late answer. We did have it booked in advance but mostly it was 1-2 weeks before the trip. Just because we didn’t want to stress about it during the day… It also meant we could enter the final address on gps right away, therefore we didn’t need to drive all around the unfamiliar city. I know people that had nothing booked in advance and they easily found the places so I think you’d have no problems finding a room either way, except for the weekends when it might be a bit more difficult (even though it’s off-season I noticed even the guesthouse (where I worked for a month) in a small city was always fully booked then).